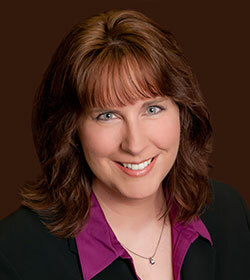 Denise practices in the area of Personal Injury and Wrongful Death, assisting her clients with insurance benefits, injury and loss compensation, arbitration, and litigation. Super Lawyers, 2015, 2016, 2017, 2018, 2019 – The top 5% of all lawyers in the State, as named by the Super Lawyers® of Minnesota. Million Dollar Advocates Forum, Lifetime Member since 2008 – a national organization comprised exclusively of members who have achieved Million Dollar results for their clients. This is one of the most prestigious groups of trial lawyers in the United States. Membership is limited to attorneys who have won million dollar verdicts and settlements for their clients. Fewer than 1% of U.S. lawyers are members. Minnesota Rising Star, 2002, 2005, 2006, 2007, 2008, 2011 – The top 2½% of up-and-coming lawyers in the State, as nominated by the Super Lawyers® of Minnesota. Denise grew up in Stillwater, MN until attending college in St. Peter, MN. She began her post-college career doing Marketing Research for a printer parts company in Bloomington, until taking on a law clerk position during her first year of law school. This was her first foray into the world of Personal Injury legal work, and ignited her passion for helping injury victims. Denise has lived in Arden Hills, MN since 2000, with her husband, two daughters, and two dogs. She served three years as Treasurer on the Mounds View High School Volleyball Booster Board. Her personal interests revolve around family and home. She enjoys landscaping and gardening, DIY home remodeling, spending time with her family, making pottery, community service, and a variety of creative arts.